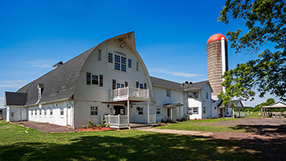 Brandy Hill Farm is a beautiful, family-owned farm nestled in the hills of Culpeper, Virginia. 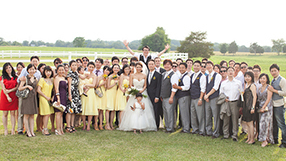 As one of the premier wedding venues in Virginia, Brandy Hill is a country farm wedding venue with proximity to Washington, DC, Charlottesville, and Fredericksburg. Just a one-hour drive will transport you to our scenic surroundings full of rich history and beautiful countryside. Brandy Hill Farm is the ideal venue for the rustic chic, vintage wedding of your dreams. We invite you to take a look around our site and check out our farm; we’re sure you won’t be disappointed! Then, send us a note to schedule a time to see our beautiful farm for yourself. Check out our Facebook page, Instagram, and Pinterest.